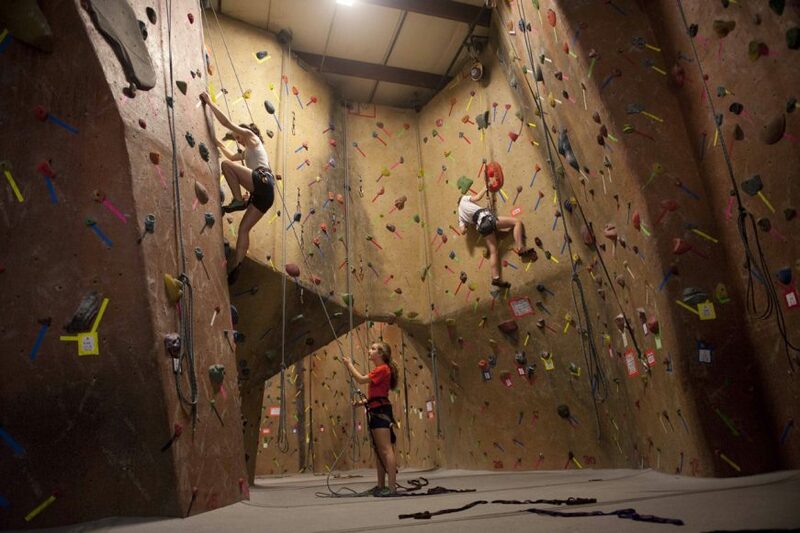 Reach new peaks in your workout regime with indoor rock climbing. For many, rock climbing conjures images of steep mountains and precarious ledges, complicated harnesses and frightening drops. 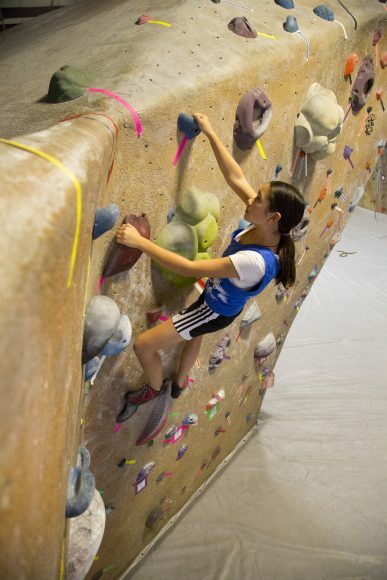 In recent years, however, indoor rock climbing facilities have transformed climbing from a risky endeavor along the lines of skydiving or bungee-jumping into a fun, accessible sport that men, women and children of all ages can practice safely. 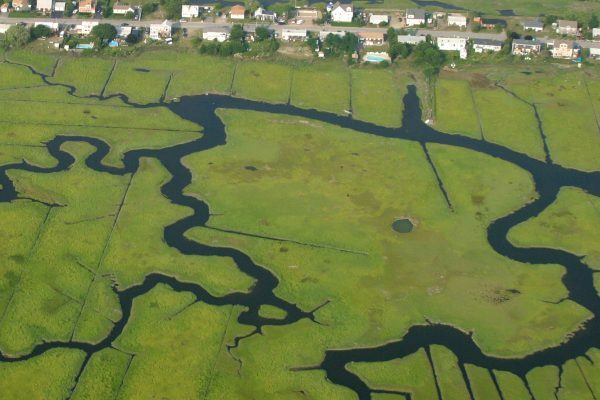 Southern New England facilities have been on the cutting edge of this trend for years. 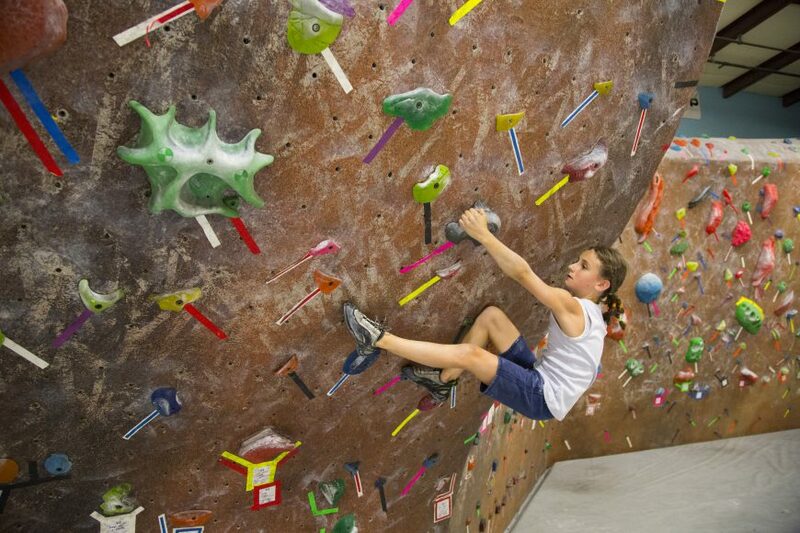 Carabiner’s, an expansive facility in New Bedford founded in 2004 by veteran climber Steve Caton, boasts 35,000 square feet of climbing surfaces that stretch 65 feet into the air. 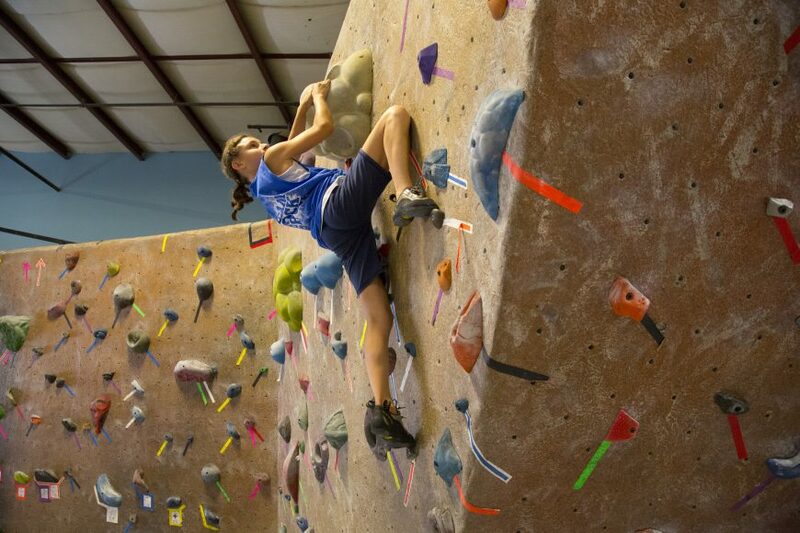 Rock Spot Climbing, launched in 2002 by co-owners Lary Norin and Nadav Minkin, offers four state-of-the-art locations: two in Rhode Island (Lincoln and Peace Dale) and two in Mass. 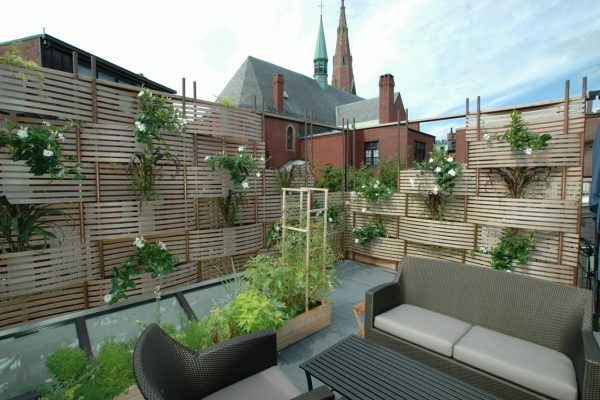 (Dedham and South Boston). 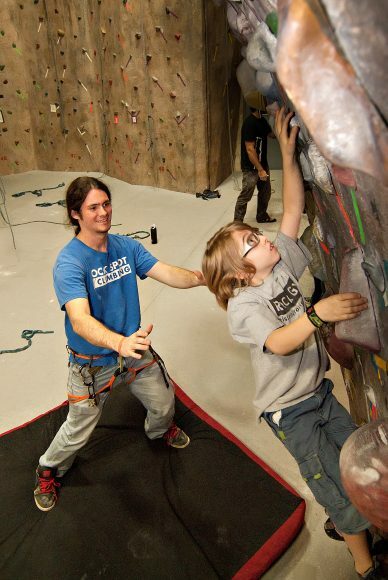 First-time visitors to Carabiner’s and Rock Spot Climbing find friendly instructors, introductory courses and all the gear necessary for beginners to start their journey. 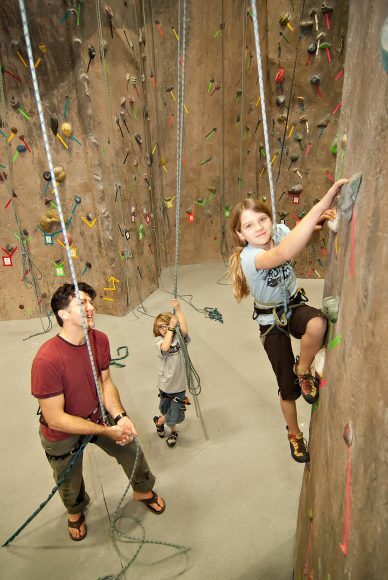 Both gyms offer rentable basics like harnesses, ropes and climbing shoes. After a brief orientation, which spans basic climbing techniques and safety rules, Rock Spot employees generally take a hands-off approach, although staff are always on hand to answer questions and ensure climbers’ safety. 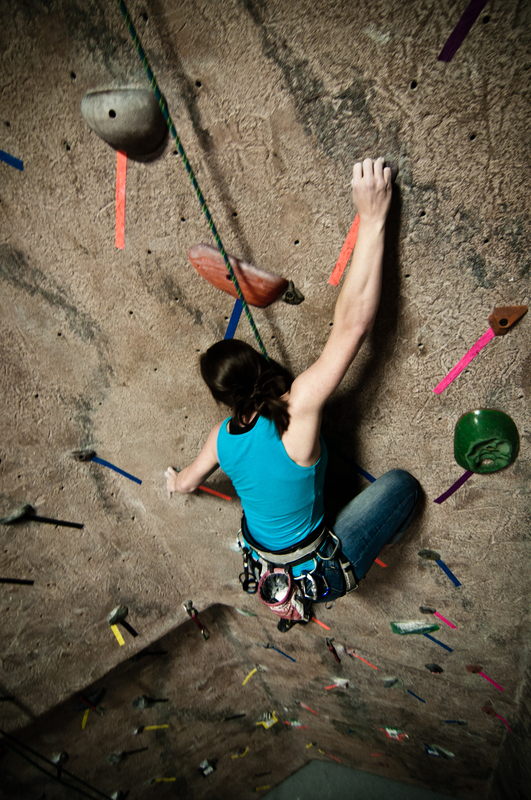 Both Carabiner’s and Rock Spot gyms offer the two primary types of indoor rock climbing: bouldering and top rope climbing. Bouldering involves climbing angled surfaces, lower to the ground and without a harness. Top rope climbing involves climbing a tall vertical wall with a harness whose rope runs up to an anchoring system at the top of the wall and down to a belayer on the floor. 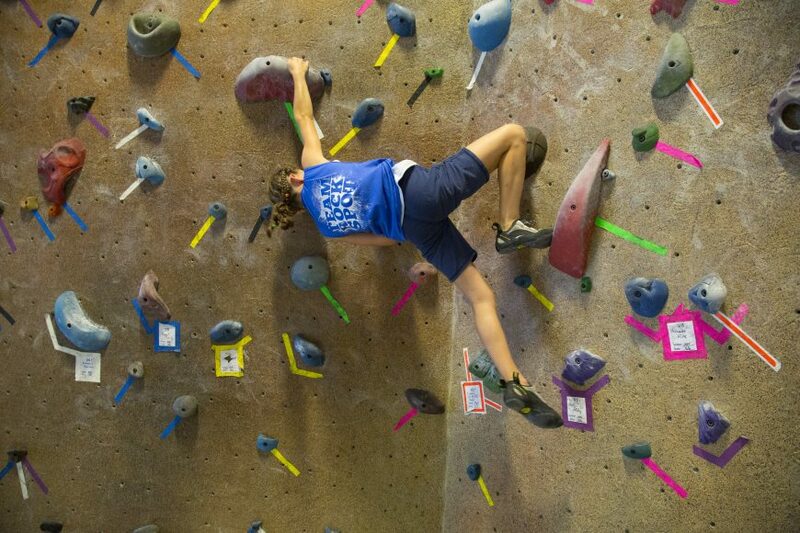 Rock Spot gyms have between 20 and 50 top rope walls with countless routes varying widely in height and difficulty. 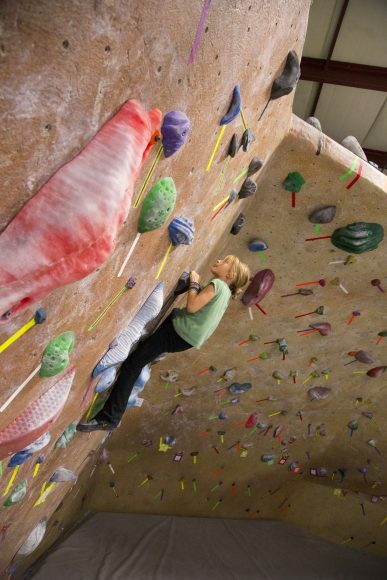 At Carabiner’s, 120 top rope opportunities dispersed throughout the large gym offer hundreds of potential routes for climbers. 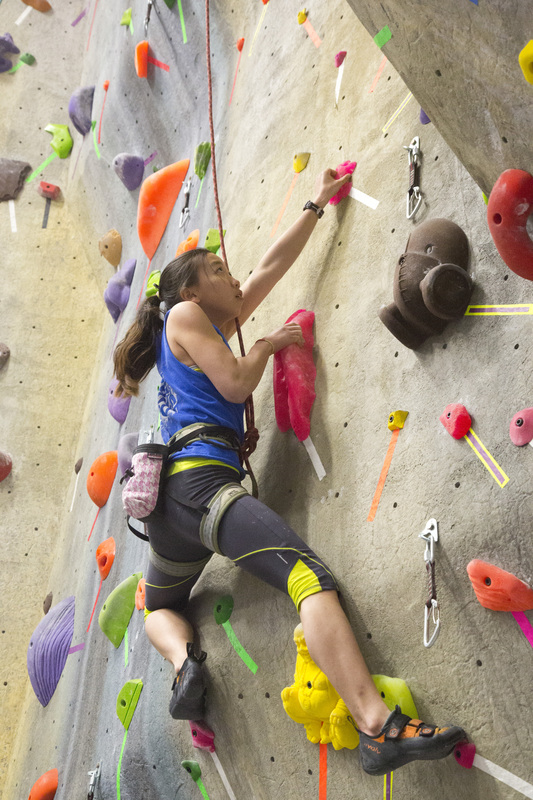 Both gyms vary their routes frequently—which is why expert route setters are integral to the quality of the indoor climbs. 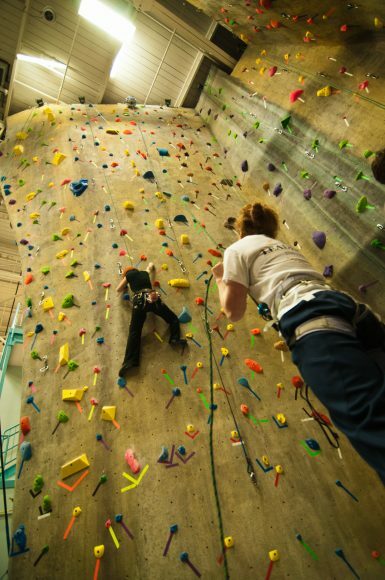 But there are ways in which indoor rock climbing can be highly collaborative. In top rope climbing, the relationship between climber and belayer is crucial to the safety and success of the climb. While the climber scales the wall, the belayer stays on the ground, maintains tension in the rope and lowers the climber gently in case of a fall. At most facilities, belayers must take a certification course or pass a test to prove they can belay safely. 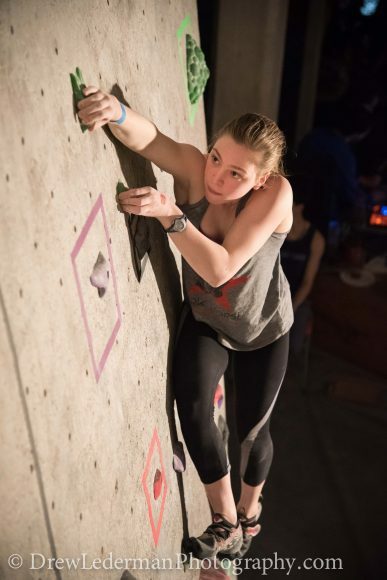 While some indoor climbers may have outdoor climbing aspirations, “Indoor rock climbing is really a sport in its own right,” says Waterhouse. 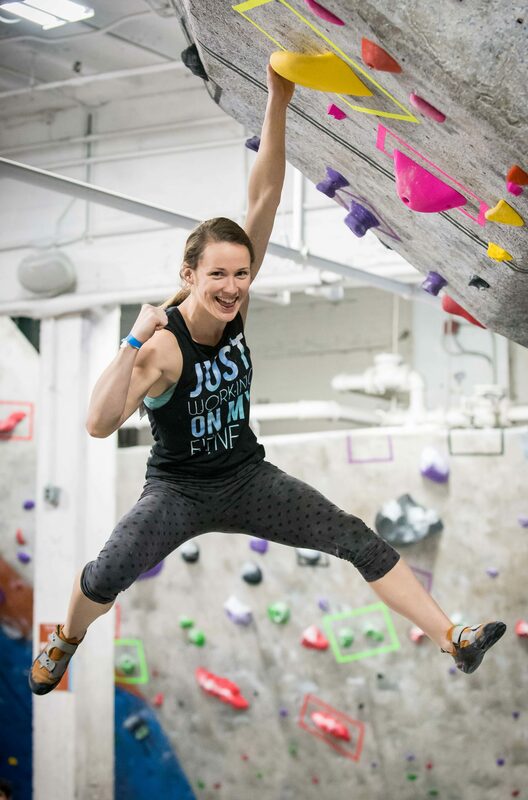 “Most of our members are indoor-only climbers, although we do offer tools to make the transition from indoors to out.” Rock Spot gyms provides outdoor gear rentals and occasional excursions to climbing sites, like the Quincy Quarries in Mass. Caton, who began his own climbing career outdoors 35 years ago, is living proof that indoor and outdoor climbing can work in harmony: “Indoor climbing absolutely prepares you for outdoor, and vice versa,” he contends.